From the writings of Saint Catherine Labouré on the apparitions of the Miraculous Medal. We need to rekindle trust in the Miraculous Medal, because even today the serpent of evil seems to suffocate the world: natural catastrophes, such as hurricanes or earthquakes that devastate the poorest, wars in the Middle East and Africa, attacks, oppressions to the weak and excluded, migrants to whom hunger drags to diing in barbed wire or in the sea, unemployment and injustices. And the rulers are unable to find a solution. It only remains to trust God and Mary, because it seems that only a divine intervention, a miracle can fix this planet: the miracle of solidarity and love. The Miraculous Medal has relevance, not as an amulet used by magic. The Medal is neither an amulet nor does it have any magic. What passes through the Miraculous Medal is a trust in the power of God and in the love of our Mother. Nor is the Medal an antique, the fruit of childlike piety or of pious women. Men today also wear medals in the form of badges to indicate which is their soccer team or their political party. 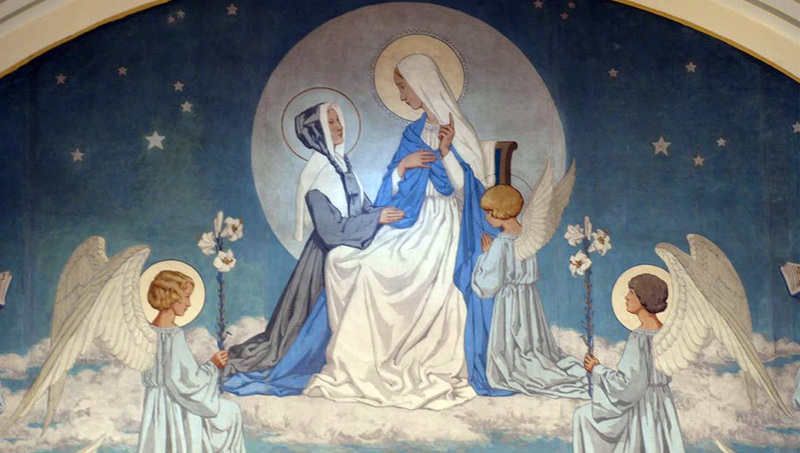 Whoever wears the Miraculous Medal, besides being a prayer to Mary, wants to commemorate the visit that the Virgin made to St. Catherine; and wants to confess that he/she is his son; wants to manifest to the people that belong to the Miraculous Medal club where all the partners are in solidarity with each other, giving meaning to life and an objective for which it is worth living with trust in oneself, in others and in God. Do you wear the Miraculous Medal? Do you propagate it, inviting your relatives and others to take it? Are you ashamed to show or spread it? Do you pray to the Miraculous Lady when you get up in the morning or when you go to bed? Is there an Image of the Miraculous in your house? Does your family belong to the Miraculous home visit? When you deliver the urn to another family, do you speak of the Virgin?